Do not hesitate because of its high calorific value, because bananas are a kind of superfood. Bananas contain pectin, a fiber which accelerates digestion and stimulates the removal of toxins from the body. 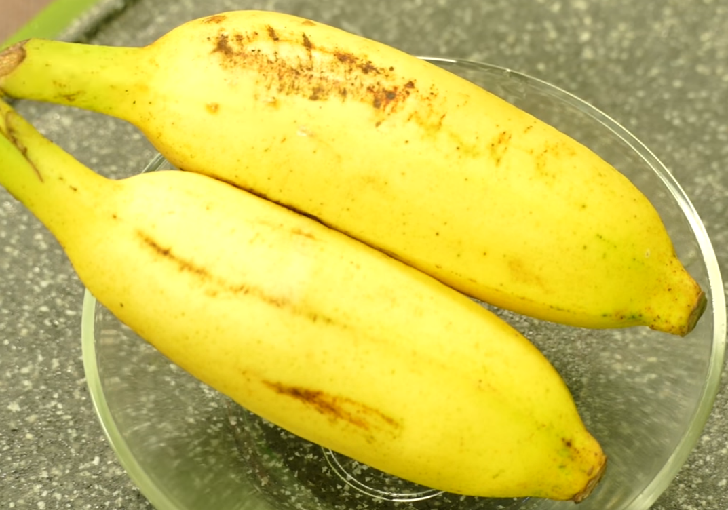 Moreover, bananas act as probiotic and stimulate digestion. They reduce flatulence and ease the tension in the intestines due to constipation. Stress accelerates metabolism, and Calium levels decline. This balance can be achieved with the help of a banana, which contains a lot of Calium and normalizes heart’s operation. Bananas optimize the amount of water in the body as well. It is known that excessive salt intake has a negative effect on blood pressure. Therefore, it is very important one to have enough potassium-rich fruits, and bananas are rich in it. One banana every morning is highly recommended, and it will keep the blood pressure of an ideal level. Bananas are rich in vitamin B6, which has a positive effect on the level of glucose in the blood, and vitamin B is known to help premenstrual symptoms. Bananas reduce pain in the abdomen and waist, regulate mood and retain water in the body. Tryptophan is included in bananas in the shape of proteins that stimulate secretion of the hormone of happiness, serotonin. One banana only is enough to raise the level of this hormone, so much that you will immediately feel calm and happy.